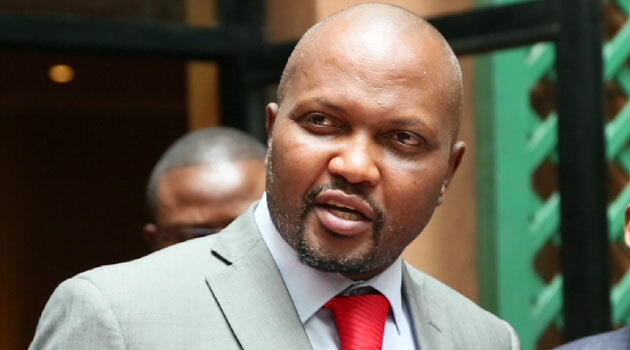 Gatundu South Member of Parliament Moses Kuria is seeking to introduce an amendment to the Banking Act by introducing a risk negotiation window of up to 6 percent above the lending cap for Small and Medium Enterprises (SMEs). This would see banks charge SMEs and interest of upto 19.5 percent, from the current 13.5 percent. For instance, if an SME acquires a loan of Ksh100,000 under the proposed conditions, it will pay back Ksh119,500. Mr Kuria pegs his argument on the current situation where banks and other financial institutions are shying away from loaning SMEs due to the capped interest rates, which banks term as low. The interest cap was implemented in 2016 in a bid to “check on excessive and punitive lending rates by banks to protect depositors and discourage usury”. “This legislation has led to serious unintended consequences. The banks have withdrawn lending o the SMEs and unsecured individual borrowers,” says Kuria, adding that credit to the private sector is growing at only four percent. However, Kuria fails to capture the main factors leading to the slowed credit growth. The banks are using interest rate caps as a scapegoat to deny SMEs loans. What they won’t tell you is that they fear lending to SMEs with good cash flows, since they are not assured of getting the money back. Also, most SMEs die immediately after take-off, hence they have no guaranteed lifeline. Which lender would loan an entity he/she is not sure that it will exist in the next one year? None. A 2016 survey by Kenya National Bureau of Statistics reveals that almost 400,000 micro, small and medium enterprises (MSMEs) did not celebrate their second anniversary in the last five years. Also, 2.2 million MSMEs closed shop during the years under review. The survey also found that 46 per cent of the MSMEs surveyed died in their first year of establishment. These are not just numbers but the reality. Instead on focusing on giving the SMEs credit, the focus should be put on making sure that SMEs can overcome market hurdles. The report stated that the businesses that died were as a result of increased operating costs, declining income and losses incurred from the business. It was also discovered that operators diverted returns to other non-business areas rather than re-investing. Lack of credit facilities is not mentioned as a primary cause of the closures. In fact, most of these businesses died before the interest rate caps came into play. Kuria’s amendment may be seen as a theatric to benefit the Kenyatta family’s bank, the Commercial Bank of Africa (CBA) which took over two local banks, the Jamii Bora Bank and NIC. Seemingly, Kuria’s proposal is not for SMEs but for the bigger fish. It should face proper interrogation before it is passed blindly.